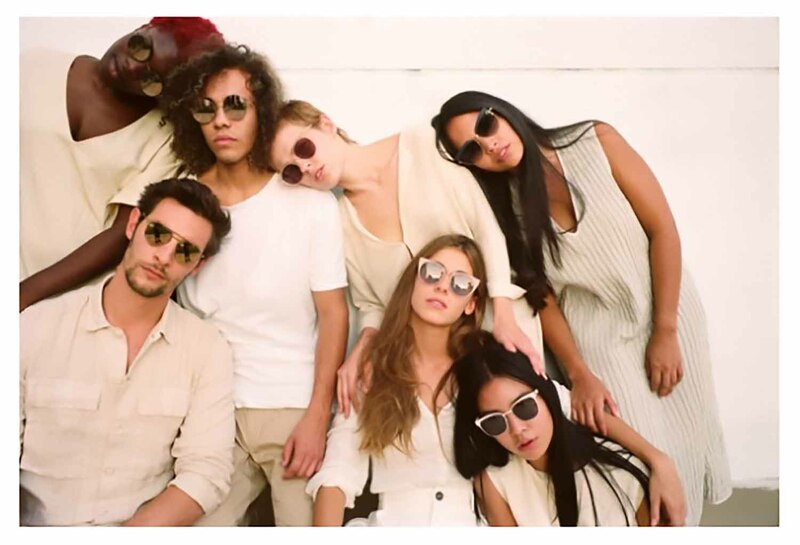 Presenting a high-summer selection of eyewear designs for discerning urbanites – shades that demand attention while providing a stylish coverage from which to observe fellow passers-by. Generously proportioned, ELISA and KENDALL demonstrate the signature way MYKITA uses bicolour finishes on its stainless steel models to transform the appearance of an eyewear shape. Classic form meets rich acetate tones for harmonious expression in LUAVA and MERIWA. HELENA and YOKO present two variations on the enduring round shape: one floaty and feminine, the other sleek and sporty.